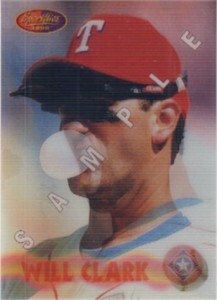 1994 Sportflics Rookie/Traded promo (actually marked SAMPLE on both sides) card of Will Clark. NrMt-Mt or better. ONLY ONE AVAILABLE FOR SALE.